Prior to surgery, I got some excellent recommendations on this forum about how to prepare for breast surgery. Now that surgery is over, I will start chemo in about 4 weeks. I am asking for any advice on what I can do in next 4 weeks to prepare my body for chemo. Couple things I thought of was getting a flu shot and visiting dentist for a checkup and cleaning. I want to do anything I can to prevent an illness / infection over the next 6 months. • Diagnosed with Invasive ductal carcinoma (IDC) in one breast and one lymph nodes in March 2018. • Took Anastrozole from April to Sept to reduce tumor. The tumor did decrease in size. 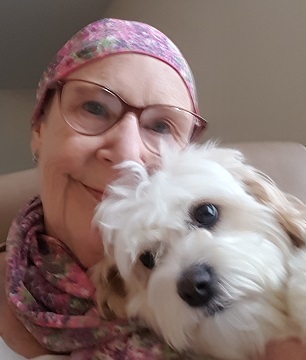 • Surgery first week in Sept 2018 – Lumpectomy and removal of two lymph nodes that were positive for cancer. • Surgery went extremely well and felt back to normal within days with very little pain. • 3-4 weeks after chemo will do radiation for 5 weeks. What a great discussion to start, @roch. You are so wise to get your body ready for chemo. A dental checkup and flu shot are 2 preparatory steps that are often recommended along with continued good oral hygiene and diligent hand washing. I'd like to bring @alaskan @nikki727 @elizm and @elvandi into this discussion. They also were diagnosed with invasive ductal carcinoma (IDC). Additionally, @marykaym63 and @corjianne have experience with adriamycin. Roch, sleep and rest is of course something else you can do to help you be the top of your game. Are you sleeping well post surgery and pre chemo? Mine is stage IV, so I didn’t have surgery or chemo. I’m on verzenio and Letrozole, as mine is 100% hormone positive. Good luck with everything. I recently attended an excellent nutrition and wellness class. The speaker told us how important sleep is to the healing process. Most of our healing occurs in the later sleep stage (I think it was – 4th stage sleep?) . He talked about wearing a sleep mask on your eyes to block any light. No computer or tv before bed. No caffeine 6-8 hours before bed. Set a bedtime routine. Turn off the sound on your cell phone. Hugs! I hope all goes well for you. Hi Roch. Post-surgery, I had 12 weeks of Taxol (Paclitaxel) in combination with Herceptin (a targeted immune therapy). To prepare, I also made sure my teeth and gums were in good shape and had my eyes checked. You might want to wait on the flu shot until the second half of October so that it will carry you through the flu season. The oncologist's office may keep flu shots in stock. Do inquire. The first week or two of Taxol, they loaded the infusions with Benadryl to make sure that I didn't have an allergic reaction to the Taxol. The benadryl kept me awake for about three days straight each time and gave me Restless Leg Syndrome. It you have no reaction to the Taxol but do have insomnia, don't hesitate to ask that the Benadryl be eliminated. Also, I became extremely (for me) constipated from the Taxol/Herceptin/Benadryl. The best relief I found was an organic tea called Smooth Move which you can obtain on Amazon. One cup at night did the trick. Milk of Magnesia also works nicely… but have something ready in order to remain regular which is important. Taxol can play havoc with your mouth, creating various sores, for example. If that happens to you, tell the oncologist or NP to write you a prescription for Magic Mouthwash. You will have to get it filled by a compounding pharmacist (Walgreen's did it for me). It will contain an antibiotic, an anesthetic, and a coating agent. It worked nicely for me for the brief time my mouth acted up. For the chemo, you will need a port, surgically installed in your chest by your surgeon. Your oncologist will give you a prescription for a lidocaine-based cream and will instruct you to apply it over the port, about 30 minutes prior to your infusions. In order for it to be effective, you will need a big blob of it (as opposed to just rubbing a bit on), and you'll need a special bandage to cover the blob so it doesn't get on your clothes. On Amazon, I found 3M Tegaderm Transparent Film Dressing worked for me. (Since I became very sensitive to adhesives during chemo, I flipped the bandage over and adhered it to my chest using Johnson & Johnson 1" paper tape (also on Amazon). Be sure to drink a LOT of water. Have a refillable (not plastic) bottle of it with you at all times. I padded the port with a small towel between me and the car seat belt. You may come across tiny pillows at the oncologist's office which work well in the car, too. I wore a denim dress with a zipper down the front to all the infusions. It made life easier. And, I brought a water bottle, a small tangerine, almonds, and my e-reader to each session. The infusions (for me) lasted four hours at first and it's nice to have things like those handy. Buy some Purell to sanitize your hands after you leave a store… and stay away from anyone who has a cold. As you can see from the above, you may have to be creative during chemo. If you already aren't an Amazon Prime member, I would encourage you to get it. I could order all sorts of things from Amazon and get them in two days, rather than calling around to the various drug stores and still not being able to find what I wanted. Those are the best tips which I can think of at present. I send you my very best on your upcoming adventure! Check with your oncologist before getting a flu shot. Be prepared to drink lots of water! To help with nutrition I used Carnation Instant breakfast mixed with milk—-I liked the taste and would sometimes mix it with ice cream for a shake. I bought some noise canceling headphones that I wore during infusions so I could listen to music. A friend had given me a soft blanket and I always took that with me to infusions. I love earrings so I always wore my favorite ones. I belong to a fiber guild and I have almost 20 hats that different people made for me. I also had a wig that I wore. I made sure I got lots of sleep and used lotions to keep my skin soft. Get your teeth checked before you start chemo. I had a massage with in several days after an infusion and accupuncture within three days of an infusion. I didn't get pedicures while I was getting chemo or radiation. I had four rounds of chemo—-1 treatment every three weeks. I had problems with dehydration and got fluid each time. Stay positive. Hi Niki, how long have you been on Verzenio and letrozole? I just started Verzenio on 9/15/18. My doctor had me on Ibrance and letrozole for three rounds but white blood cell count was low and my tumor markers started going up. Been having diarrhea with the verzenio. Hopefully blood work next week shows improvement. Hi! I have been on it since July. I’m not having any side effects, thank goodness! My tumors have shrank a lot and my markers are down! I also drastically changed my diet. I’m doing about 90% vegan/raw and I drink 64oz of juice per day. I’m thinking that maybe that why I don’t have the diarrhea. When I do eat something not so great I do get it though. I also take a supplement to help keep my immune system up. I found it in a group on fb, another lady took and said her white count was never low even through chemo! Good luck. Also, I take the Letrozole at night due to hearing people getting achy bones from it. So glad to hear that these drugs are working for you! It gives me hope! I will have to look into changing my diet. What is the supplement you are taking? Take care! Yes, hope is what we live on!! I take a lot of supplements, the the one for immunity is pictured below. I will be praying for you. I would definitely look into changing your diet. You can do it! I sent you a private message also!! Sorry it’s lengthy! Hi, Nikki, I'm not seeing any photo. Can you just note what supplement it is and the dosage? As a dietitian, I would strongly recommend that you talk with one of the dietitians at Mayo or if you are not at Mayo, talk with the dietitian at the hospital you are being treated at. There are some great resources on Nutrition from the American Cancer Society. I asked for a consult with one of the Mayo dietitians and got some excellent information. If you are at the clinic they do a nutrition workshop at least weekly. I make sure I ate a variety of foods from all of the different food groups and did not do a special diet. The biggest challenge was that I had some taste changes. I also ate small frequent meals. I take 2 pills twice per day. It’s kinko platinum AHCC I’m case you can’t see the photo. Hi @roch, you got some great responses about preparing for chemotherapy. I'm wondering how you're feeling about starting. What tips have been helpful for you? What supplement do you take?